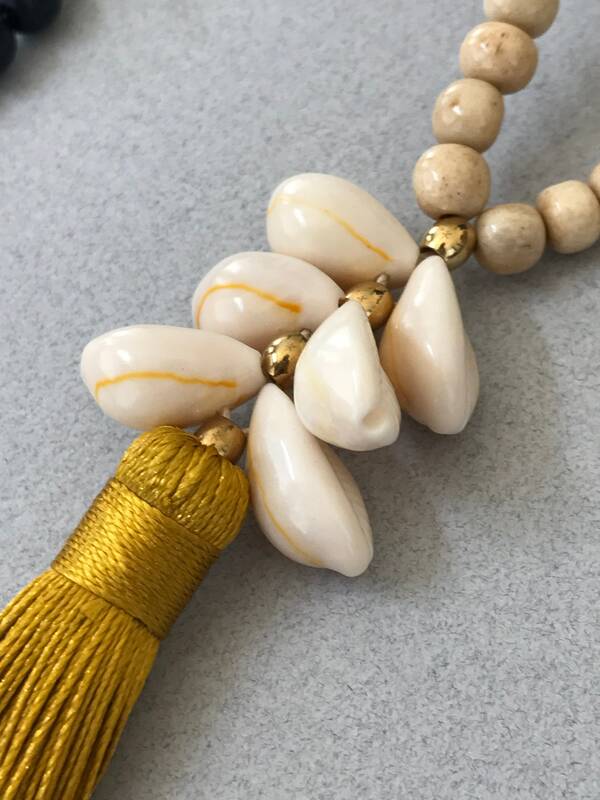 ~ Antique creme colored yak bone beads along with black wood and brass beads strung with a long silk tassel connected to a row of cowrie shells. 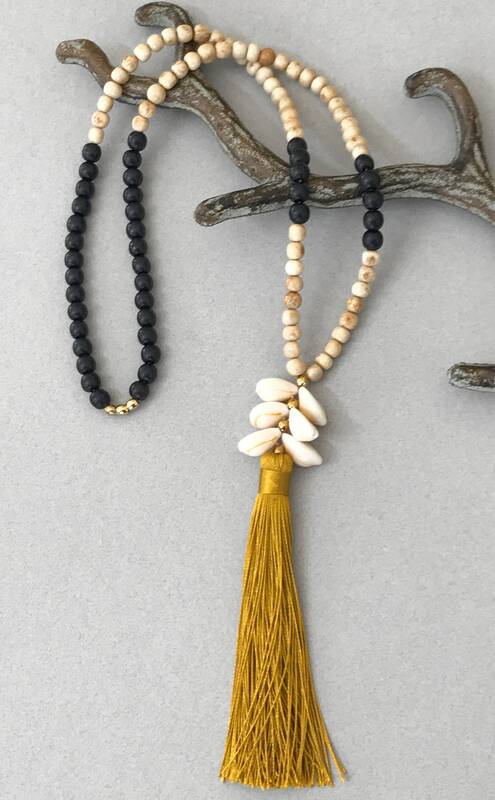 Necklace length 28", tassel drop 6". ~Dress up a tee during the day or make a statement at night. ~ This item will be shipped to you in a gift box and tied with a nice jute bow.